Explore tourist attractions in the East and West Banks of the River Nile in ancient Thebes. Book Safaga to Luxor Tour. Day Trip to Valley Of Kings, Karnak, Hatshebsut & Luxor Temples. Luxor Excursion From Safaga Port. We will pick you up from Safaga port with personal Egyptologist guide and travel in private modern van to visit Luxor. Start at the world famed temple of Karnak, it the biggest cult place ever built by humans, built over more than 2000 years by generation after generation of ancient builders, it is an unbelievable forest of giant pillars. Get your lunch meal in the way to the West Bank of Nile, stop at the 2 colossal statues of Amenhotep III, also known the "Colossi of Memnon", continue to the famed Valley of Kings, where kings of the new kingdom been buried in tombs carved deep in the mountain rocks, it is all rich with colorful decorations . Proceed to visit El Deir El Bahary majestic temple, it is devoted to Queen Hatsheput the only female ruler of ancient Egypt, the temple rises out of the desert plain surrounded by limestone cliffs. End the day then transfer back to Safaga port. All tours are operated privately unless mentioned in itinerary. Price always excludes personal expenses & optional activities. Prices are fixed in USD but you can pay with any other currency. Prices are per person per trip including all items in tour offer. Price does NOT include Entry visas to any of served destinations. Price does NOT include fees of any special archaeological sites. Our prices are updated always to give you the best possible price. Children under 6 years old are free of charge in all similar tours. Children between 6 and 11.99 years would pay half price of adults. Children will be charged in case your tour includes any airfare. 25 % down payment is required to get your tours booking confirmed. Full payment should be settled upon tour pick up or upon arrival. International airline tickets if added are your own responsibility. Safaga cruise excursions to explore the Red Sea underwater world, enjoy the beauty of the Red Sea Coral reef and colored fishes aboard submarine for one hour near Hurghada coast from Safaga port. Book 2 Days Safaga Tour to Luxor. 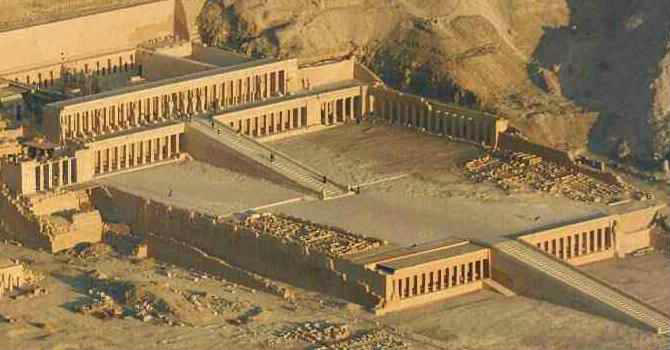 Overnight Trip to Valley Of Kings, Karnak and Hatshebsut Temples. Luxor Excursion From Safaga Port in private AC van with personal Egyptologist guide from Safaga Port. Book Safaga Disabled Friendly Tour to Luxor. Trip to the Valley Kings, Karnak and Hatshebsut Temples. Wheelchair Accessible Excursion to Luxor From Safaga Port from your cruise ship with personal guide and equipped air conditioned vehicles. Wander the beaches, cliffs and desert at the Red Sea coast with private AC van and personal snorkeling guide. Book Sharm El Sheikh Snorkeling Tour to Ras Mohamed Park. Trip to View coral Reef, colorful fishes in Ras Mohammed National Park. Day Excursion From Sharm Marina. Aqaba to Dead Sea Tour. Dead Sea Tours From Aqaba Port to Swim and Float in the Dead Sea Healthy Waters with Minerals. Book Aqaba to Dead Sea Day Trip to Explore Lowest Point on Earth With Private AC and Expert Guide. Book Port Said Tour to Giza Pyramids. Tour to Giza Pyramids, Sphinx & Step Pyramid in Saqqara Excursion From Port Said in private AC van and professional tour guide from Port Said. Book 2 Day Port Said Tour to Cairo. Overnight Trip to Giza pyramids, Egyptian Museum and Old Cairo Excursion From Port Said with personal guide and private van in 2 days travel from Port Said. Add historical value to your cruise holiday when docking in Alexandria Egypt. Book 2 Day Tour to Cairo and Alexandria. Overnight Trip to Giza pyramids, Old Cairo, Catacombs, Qayetbay Citadel Excursion From Alexandria Port. Half day Alexandria city tour from for cruise passengers stopping in Alexandria port. Visit Quitbay Citadel, Pompey Pillar, Alexandria library and Catacombs of Kom El Shokafa then return to port. Travel privately to wander Egypt top tourist attractions in Cairo and Alexandria from port Said. Book Port Said Overnight Tour. 2 Day Trip to Giza pyramids, Old Cairo, Catacombs, Qayetbay Citadel Excursion From Port Said. Wander the world war cemetery and museum in the northern coast of the Mediterranean Sea in Egypt. Book Alexandria Tour to El Alamein. Trip to Alamein World War II cemeteries & El Alamein Museum Excursion From Alexandria Port. Book Petra and Wadi Rum Tours From Aqaba. Escorted Petra Wadi Rum Aqaba Tours to Red Rose City and Wadi Rum. Book Best Tour to Petra and Wadi Rum From Aqaba to Wander the pretty silence of Jordan desert. Giza Pyramids and Nile cruise lunch meal experience in Cairo from Port Said, Shore trips get you closer to the history of ancient Egypt and to savor your lunch buffet aboard delicate cruise sailing the Cairo Nile with entertainment. Book 2 Day Alexandria Trip to Giza pyramids. Overnight Tours to Egyptian Museum and Old Cairo Excursion From Alexandria Port. Travel privately with personal skilled guide and all facilities included. Learn more about the history of ancient Egypt. Book Port Said to Cairo Tour. Trip to Giza Pyramids, Sphinx, Egyptian Museum & Old Cairo Excursion From Port Said. Book Day Tours From Alexandria to Pyramids. Alexandria to Pyramids Tour to Cairo, Giza Pyramids and Sakkara. Day Trip From Alexandria to Pyramids of Giza, Sphinx and The Step Pyramid of King Zoser in Saqqara. Hiking the splendid rock formations and various colors of Sinai Colored Canyon. Book Sharm El Sheikh Tour to Colored Canyon Dahab Nuweiba. Trip to Bedouin Village, Colored Canyon & Dahab Safari Excursion From Sharm Marina. Petra Tours From Aqaba Port, Group Tours to Petra From Cruise Ship to Visit Siq Canyon, Qasr Al Bent & Great Treasury. Book Best Petra Tour From Aqaba Port with modern AC van and expert tour guide. Enjoy Aqaba to Wadi Rum Tour, Day Trips From Aqaba to Wadi Rum Park in Jordan Desert. Book 4x4 Desert Adventure Wadi Rum Tours From Aqaba Port to explore Jordan awesome desert canyons, sand dunes and rock inscriptions. Alexandria shore excursions to explore Cairo city sightseeing places starting from your ship docking in Alexandria. visit Giza Pyramids with an elegant lunch with entertainment on the Nile from Alexandria port. Book Cairo Tour From Alexaandria Egypt. Alexandria Cairo Tour to Giza Pyramids, Sphinx, Egyptian Museum & Old Cairo. Private Tour Cairo Alexandria Port for cruise ship passengers docking in Alexandria. Book Ain El Sokhna Tour to Cairo. Trip to Giza Pyramids, Sphinx, Egyptian Museum & Old Cairo Excursion From Sokhna Port in private AC van and personal guide. Port Said dune buggy excursions to Giza Necropolis with private transfers and 4 wheels quad safari around the great Giza Pyramids, Saqqara Necropolis and Abu Sir from Port Said. Explore the Biblical Burning Bush, Moses Well and church of transfiguration. Book Sharm El Sheikh Tour to St Catherine Monastery. Trip to Mount Sinai and Dahab. Shore Excursion From Sharm Marina. Visit Giza Pyramids, Sphinx and Sakkara on board 4 wheels quad. Private shore excursions to Cairo greatest Attraction around Giza Necropolis aboard quad bikes from Alexandria port. With its special location on the shores of the Red Sea, in the way between the famous Hurghada and the coming star of Marsa Alam, many travelers go on Safaga day tours to enjoy experiencing one of the best spots in Egypt. Browse Range of Luxor Packages, Private and Group Luxor Egypt Vacation Packages, Budget and Luxury Luxor Package Deals to the Valley of the Kings, Temple of Queen Hatshepsut, Colossi of Memnon, Valley of Queens & many other interesting Pharaonic sites.